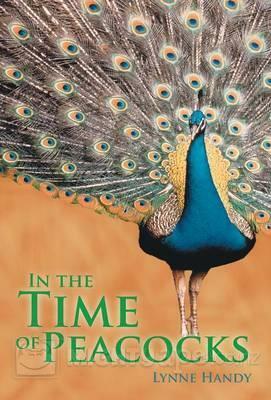 Lynne Handy has written an attention-grabbing book entitled In the Time of Peacocks. The story spans two countries, Mexico and the United States, and several generations. We follow Catarina Montserrat y Vega as she survives a devastating automobile accident that kills her parents. Her recovery unravels an old mystery and an even larger life-changing event for her. She yearns for her pleasant life in Gaviotas de Plata, Mexico, as she strives to accept her new life and family in the United States. We meet her mother, father and 2 sisters, who are the antithesis of her personal beliefs. Later, we meet her future husband, Joel, and her new friends, as well as several ancillary characters. Catarina finds it difficult to accept her new life, but eventually settles on her new name, Cate Miller and her new identity in the Miller household. Ms. Handy weaves several social and religious issues into the lives of the characters in a way that helps the reader understand the different points of references in the story. Ms. Handy’s main characters are well defined in the narrative as well as in their dialogue. Ms. Handy’s storytelling style is straightforward and easily read. I had to force myself to put the book down so that I could deal with other things demanding my time. Her descriptions are colorful in the Mexican scenes and very meaningful in the United States outlook. Lynne Handy is a freelance writer and poet. She holds an undergraduate degree in history and a graduate degree in Library and Information Science. She is a member of the OLLI Writers Café, Kentucky State Poetry Society and the Association of Writers and Writing Programs. Now retired, she lives in Illinois, where she is working on her next book.